Distribution management is a process of creating and developing product distribution network between the source (Producer) and end user (consumer). This process includes, determine distribution area, deployment of staffs, product delivery methodology, distribution channel or supply chain and warehousing. In normal terms a distribution network is a bridge between manufacturer and consumer that carry goods from source location to point of sales (POS), where from the customer purchase his goods. 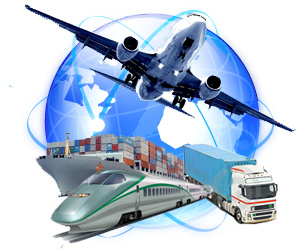 The style and structure of supply chain will vary according to the infrastructure and the business volume of a company. Large companies, particularly dealing with the FMCG and Pharmaceuticals, are found to adopt a number of channels to reach out their goods to customer. But small companies, those who are operating in small area are dealing directly with distributors of wholesalers. The strategy behind choosing a distribution network depends upon the product nature and size, production volume, operational area, management capabilities and frequency of end user consumption. Determining an operational area is a primary function of the management. Where we will distribute and how we will design geographical hierarchy is most important in this process. Deployment of sales force, sales planning, method of product delivery, promotional criteria, inventory and warehousing management should be according to this planning. Integra ERP facilitates flexible designing in operation area in three levels such as Zone, Area and Location. For example, if company operates all over India, South, North, East, West and Central India can take as Zone. Under each zone, states will be considered as Area, district as Location. Ranking and deployment of sales force into the designed area of operation is also depending up on the sales planning and an important management activity. Correct placement of sales staff in their hierarchical level on various sales area and sales target, incentive policies, discount structure, promotional schemes, advertisement plan etc will be decided upon marketing plan of the company. Management policies and proper ERP implementation will help the management for straight deployment. Periodical sales review will felicitate frequent change in policies and schemes to optimize the work force and other resources spared over the marketing area.